Melt chocolate chips in double boiler, then slowly add butter. Add sugar and cook, stirring constantly, until the sugar is dissolved. Take two tablespoons of the mixture and add to the egg yolks in a separate bowl to warm them; remove the double boiler from heat. Allow the chocolate mixture in the double boiler to cool slightly, then add to the yolks and stir until well mixed. Add almonds and mix well, then stir in the liqueur. 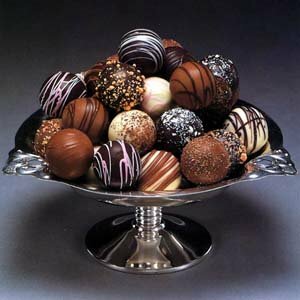 Allow chocolate-egg mixture to cool, and then refrigerate. After it has hardened, scoop enough of the mixture to make 1½ to 2-inch balls, rolling the scoops in your hand to form the balls. Roll the balls in cocoa powder until well-dusted. These cannabis caramel bars are a hearty treat, but don’t expect to move once they’ve kicked in. Couch-lock is almost certainly a guarantee. Preheat the oven to 375°F. Using a large mixing bowl, combine your oats, brown sugar, flour, salt and baking soda. Add your cannabutter and plain butter and then stir until the texture becomes crumbly. Set aside one cup of this mixture for later use with the topping. Now grease a 13 by 9-inch baking pan and press the remaining oat mixture into the bottom of it. Bake this for about 10 minutes, or until lightly brown. Remove them from the oven and cool for 10 minutes, being sure to leave the oven on. While the bars cool, you can begin making the caramel topping by stirring the sugars and butter together in a heave sauce pan. Heat the concoction over minimal heat until bubbling and then allow to simmer for half-a-minute. Remove from the heat and cool until tepid; now stir in the flour. Finally, top the oat base with chocolate pieces and mixed nuts, then drizzle on the caramel topping, followed by the 1 cup of uncooked oat mix sat aside earlier in the recipe. Place back in the oven for an additional 20 minutes (or until the caramel bars are golden brown all over). Cool once more, cut and enjoy! Whatever your medical condition, there’s not a lot better than good home cooking to make you feel better. 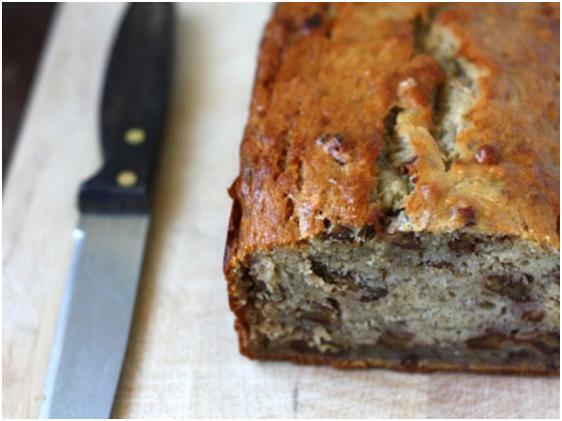 This recipe will result in a mouth-wateringly moist banana loaf with that ‘added extra.’ To ensure that it is even better than just good, choose a marijuana strain that is recommended for your particular illness. Preheat oven. Grease the bottom and sides of a 9 by 5-inch loaf pan; dust with flour, tapping out the excess. In a large bowl, melt the butter and stir in your marijuana. Make sure all surfaces are covered with the butter. THC is fat soluble, so the long you leave the weed soak, the more potent your banana bread will be. This is a good store cupboard item anyway – we’ll call it green butter. In a large bowl, whisk together the flour, sugar, baking soda, and salt. In a medium bowl, mix the mashed bananas, yogurt, eggs, green butter, and vanilla with a wooden spoon. Lightly fold the banana mixture into the dry ingredients with a rubber spatula until just combined and the batter looks thick and chunky. Fold in walnuts as carefully as possible. Scrape the batter into the prepared loaf pan. Bake until the loaf is golden brown and a toothpick inserted in the center comes out clean or with very few crumbs, about 55-70 minutes. Cool in the pan for 5 minutes, then transfer to a wire rack. Serve warm or at room temperature. (The bread can be wrapped with plastic wrap and stored at room temperature for up to 3 days). Tip: This recipe is seriously SO delicious, try a warmed up slice and spread some cream cheese on top, you’ll seriously be in heaven! YUM! How To: Make Pot Brownies!!! Grind your weed to a powder. It’s important that you get it as ground up as possible so the most surface area is exposed. More surface = more cannaboids exposed = you get higher. Mix your powder weed with your oil. Put in enough so that the oil is able to cover the weed completely when you put it in your pan. The less oil you use, the more potent it is. Put the mixture into a pan for about 25 – 35 minutes until it’s almost at a simmer. Let it cool for a few minutes once it’s done. We’re almost done learning how to make weed brownies. Grab your filter that I told you to get earlier. Put your oil through the filter. Do it a third time. We don’t want any left over weed as there’s no THC left in it and it’s gross if you eat it in brownies. Mix in your oil to the brownies. Go back and mix it in a little more. It’s easy to get it uneven. If it’s uneven, there might be no THC in one brownie and TONS in another. We want them all to be even. Follow the directions on your brownie package. Bake your brownies. IMPORTANT: Do not cook your brownies over 325 degrees Fahrenheit no matter what the brownie package says. If you burn the THC, your brownies will be worthless and you will have wasted all your weed. Why Should I Make Weed Brownies? 1) Weed brownies are delcicious. 2) You can give a weed brownie to someone who thinks it’s a regular brownie. This can be a teacher, parent, friend, or police officer! 3) Eating weed brownies is discreet. You can eat one in public and no one will care, although they may think that you’re fat. 4) Some say that edibles get you higher than regular smoking. 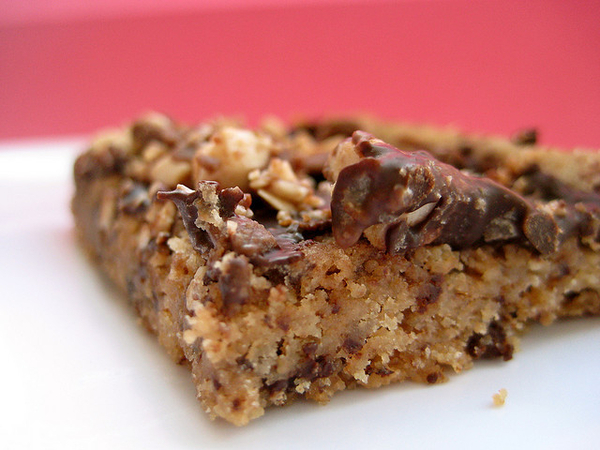 5) Potent weed brownies will glue you to your couch. This can also be a bad thing. I had an interesting experience this weekend. My oven is quite large, so I decided to teach my friend how to make weed brownies while I made regular brownies from scratch. The plan was to eat the weed brownies first, and then if we got the munchies, eat the delicious, from scratch, regular brownies. Things took a turn for the worse. After 2 weed brownies each (my friend had learned how to make weed brownies effectively) we were stoned out of our minds, which was good. As you might know, being high sometimes impairs your judgement. We went into the kitchen… and… STARTED EATING ALL THE WEED BROWNIES. Halfway through the pan, we realized this. Uh oh. We freaked out for a second, then went along for the ride. Essentially, if you don’t mark your weed brownies after you learn how to make weed brownies, you might eat them by accident. For us, we were in space for about 30 minutes and then literally could not stay awake. We tried getting up and moving around, it was impossible, we needed to crash and sleep. So we did. We woke up 7 hours later… still high. Edibles last forever, and these seriously destroyed us. The good thing was that we were rested, so we just chilled, listened to music, etc. 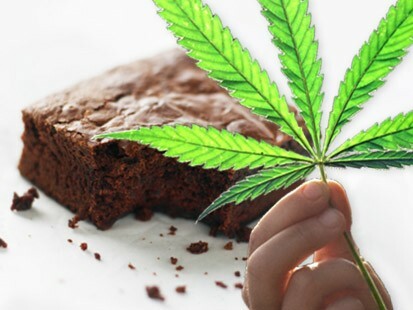 We are regular marijuana smokers so we didn’t freak out, but if you are new and are learning how to make weed brownies for the first time, MARK THEM. You will waste weed and get too high if you don’t and eat them by accident.